RS arguing for a reassessment (quoting himself while posting anonymously). “Literary reasoning” is the process of the interpretation of literary texts to form conclusions about their meaning and significance. In literary reasoning, numerical symbols can play a role, but they are never the whole story. They are also not things-in-themselves; they are subordinate to logic and literary inference, to which they contribute when statistically robust. 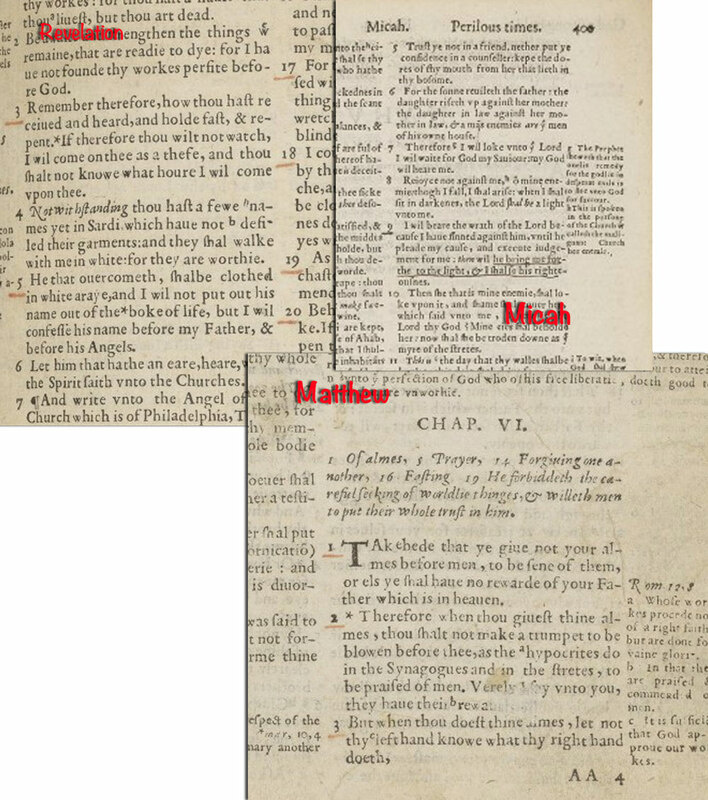 No matter how impressive the number of marked verses which demonstrate an influence in “Shakespeare,” the inner story of these annotations is not told by numbers, but in the brief sequence of marked verses (Micah 7.9, Matthew 6.1-4 and Revelations 3.5: see chapter 26) which comment on the condition of a man whose name has been erased from history and which set forth the divine promise of his eventual redemption. This is a matter of hermeneutics, not calculus." I will bear the wrath of the Lord, because I have sinned against him, until he plead my cause, and execute judgment for me: then will he bring me forth to the light, and I shall see his righteousness. Take heed that ye give not your alms before men to be seen of them, or else ye shall have no reward of your Father which is in heaven. RS offering advice on a approaching a tricky subject. If I were to offer you some free advice on your composition technique, it would be this: don't start with your conclusion. It makes everything else that you say literally pointless, by revealing to your reader an a priori prejudice that has clouded your objective appreciation of the facts. But, you will reply, "I have no such prejudice." But you do. Your composition style testifies to it, whatever you say about it.